Our inspirational workshops are designed to give anyone and everyone the confidence and skills to make their own floral creations. Based at our Hackney studio, all materials are included and you’ll be able to take your creation home with you. All our classes are two hours long. Get in touch to book a class. 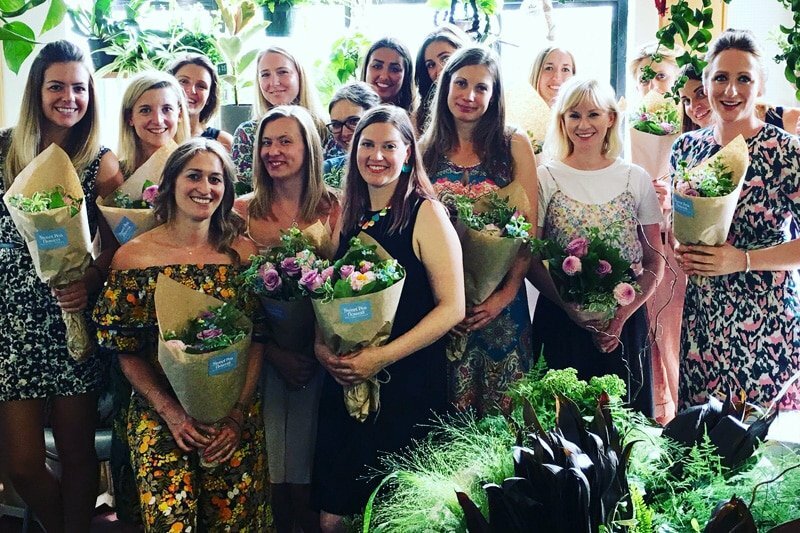 We especially welcome hen parties and wedding groups who want to learn how to make a beautiful hand-tied bouquet – including the insider tips that give the perfect finish. 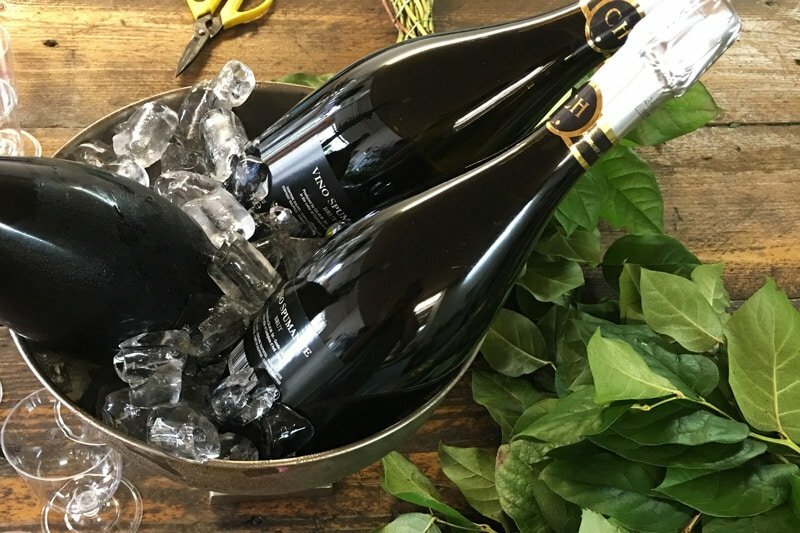 These fun workshops include complementary fizz and are run privately for groups of up to 16. Get in touch for our information pack. Our Hand-tied Bouquet workshops are fun, informative and relaxed, packed with insider tips and tricks of the trade. 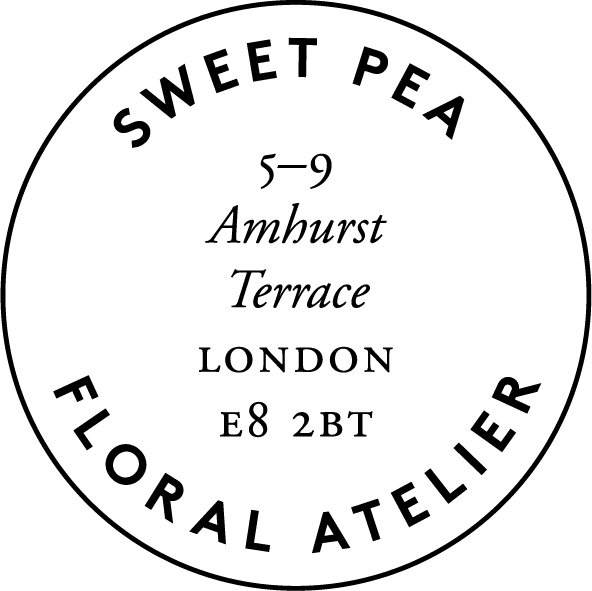 As well as conditioning tips, and how to pick the right blooms and colour palette for your arrangement, we’ll teach you the all-important technique of spiralling the stems in the demo. Then it’ll be your turn to get creative as we assist you. There will be plenty of opportunities for taking pictures of your creations, you’ll be thrilled with you’ll be able to make by the end of the evening. Workshops are priced at £75 per person, which includes a beautiful selection of seasonal flowers, foliage, equipment and tutoring. 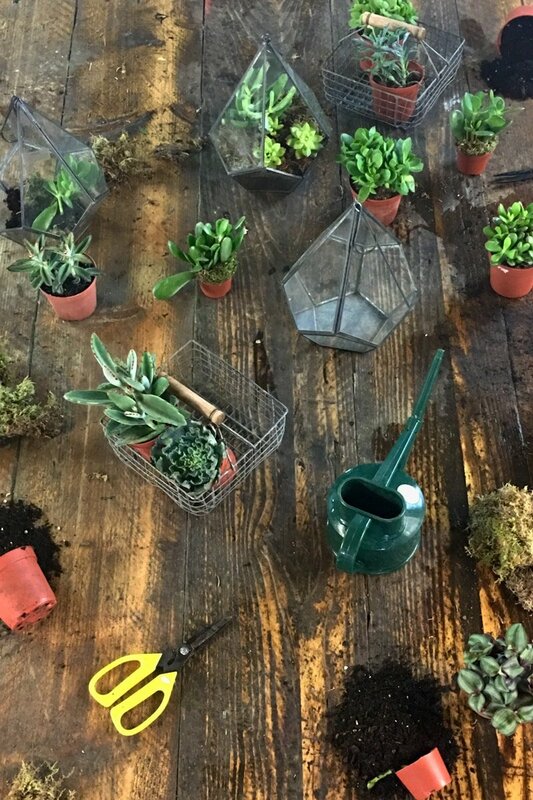 In our hugely rewarding and popular terrarium classes, we’ll teach you how to create and care for these miniature ecosystems.  We’ll provide everything you need to design and make your own garden- under-glass, including the glass jar, plants and soil. Workshops are priced at £60 per person, which includes a glass of fizz for each person. Flower design is a great activity for groups of all kinds. We run bespoke team-building workshops designed to help colleagues, teams and friends to get creative and learn new skills. Contact us for an information pack. 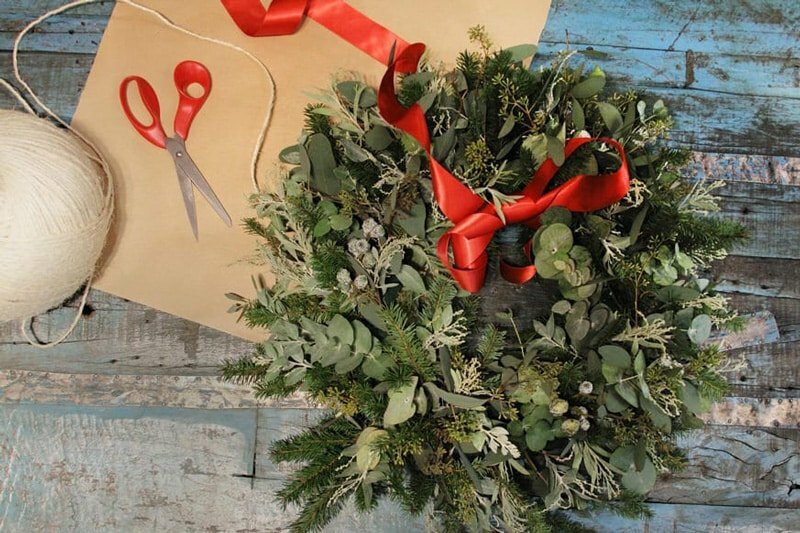 We run a range of classes throughout the year, from designing hand-tied seasonal bouquets to Christmas wreath-making. 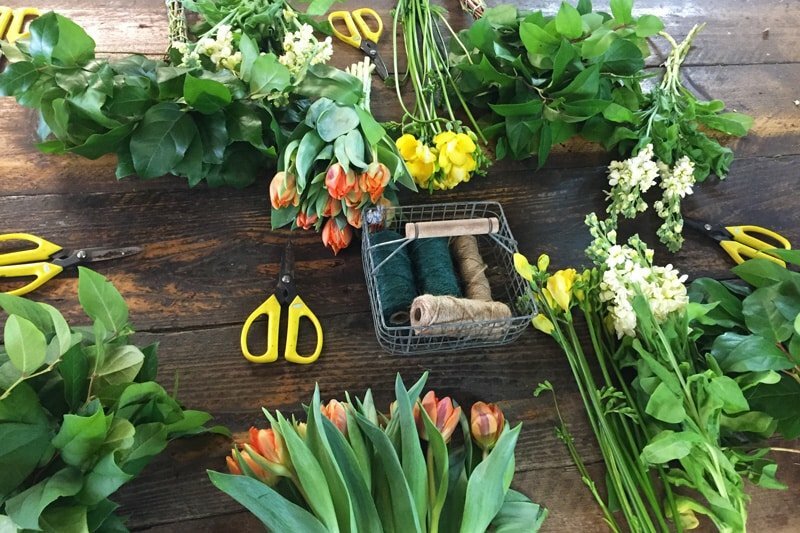 These informal workshops include light refreshments and are a great way to spend an evening with friends, or meet new ones while learning the key techniques of floral design.